Hey guys, I finally got my NRG Quick Release, Steering Wheel, and Short Hub installed into my R32 Skyline GTR! I wanted to wait until after my HICAS Delete was finished because this short hub is not compatible with HICAS as the sensor in the steering column needs to be removed. 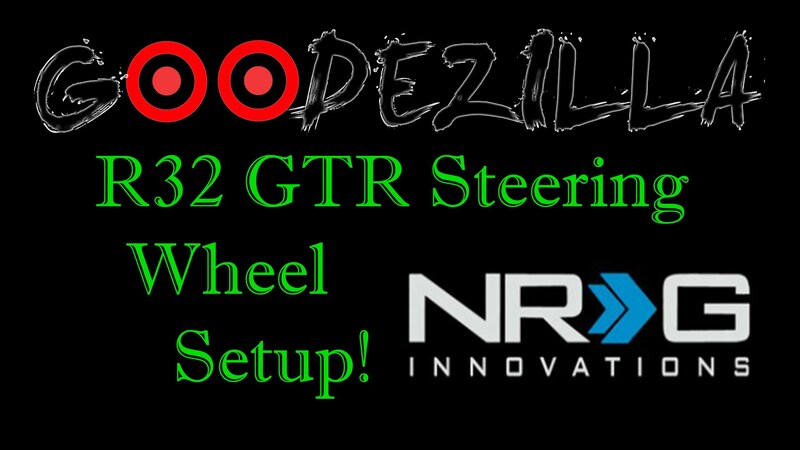 If you’re interested in getting the same hub, quick release, lock, or steering wheel as me, please use my Amazon links below. It helps to support my website and projects! Take care and enjoy! Do you know which hubs are compatible with Hicas? I’ve got a 93 R32 and am searching for one. Most of the results seem a bit shady, so if you have any advice, it’d be appreciated. Joey, I’m not sure which hubs would be compatible. I know there are some that exist, I just haven’t researched it enough. From what I can remember, the hubs that work with the HICAS aren’t usually for quick disconnect because it would stick out too far.